Every few weeks I like to play a game with you guys called ‘Pick the Next Recipe’. The way it works is this: I give you several recipe options on facebook, you vote, and I make the recipe that gets the most votes. I always like to throw a wildcard in there but, sadly, it never wins! 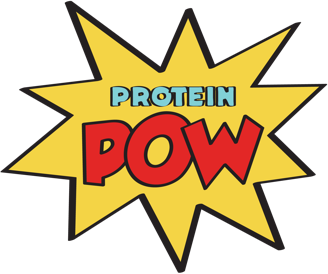 This time it was ‘Pink Protein Panthers’ and I hoped and hoped it’d win so I could bring to life some pantherian protein style but, alas, it was not to be. A No-Bake Protein Cheesecake won instead (here’s the evidence). Now, I didn’t quite mind that because I’d been wanting to try making a no-base cheesecake for ages. BUT. I made two critical errors and those errors kind of killed it. So why am I posting the recipe? Because the cheesecake tasted heavenly! And because my errors will teach you a lot about protein-cheesecaking and you’ll never make the same mistakes I did. So try the recipe below and pay attention to my steps and mistakes so that you end up with not just a delicious cheesecake but a SENSATION. 1. For the base I just mixed together all the ingredients to form a dry kind of ‘dough’ which I pressed onto a six inch cheesecake springform tin. Mistake number 1: I should have baked it to make it crunch up. I didn’t because I wanted to make this a proper ‘no-bake’ cheesecake but my base wasn’t appropriately designed for this. For a proper ‘no-bake’ base, I should have use a tbsp or two of nut butter or coconut oil to bind the ingredients together instead of milk and I should have ditched the chickpeas. 2. For the filling, I literally just blended everything together in a bowl and poured it on top of the base before adding the flavdrops and roughly mixing that in (to form a kind of marbled texture). I then left it to set for a couple of hours. Mistake number 2: I forgot to dissolve my gelatine – a rookie error, I know. I hope you have it in you to forgive me? Truth is, I should have known better! So please, when you make your filling, dissolve the gelatine in hot water or milk (just 1/8 of a cup) first and THEN add it to the rest of the ingredients. Because if you don’t your texture will be like mine – a bit grainy and not set enough. PS:Here is a link to the winner of my last ‘PICK THE RECIPE’. It’s Cookie Monsterian Protein Cupcakes!